See your trial from a different angle. 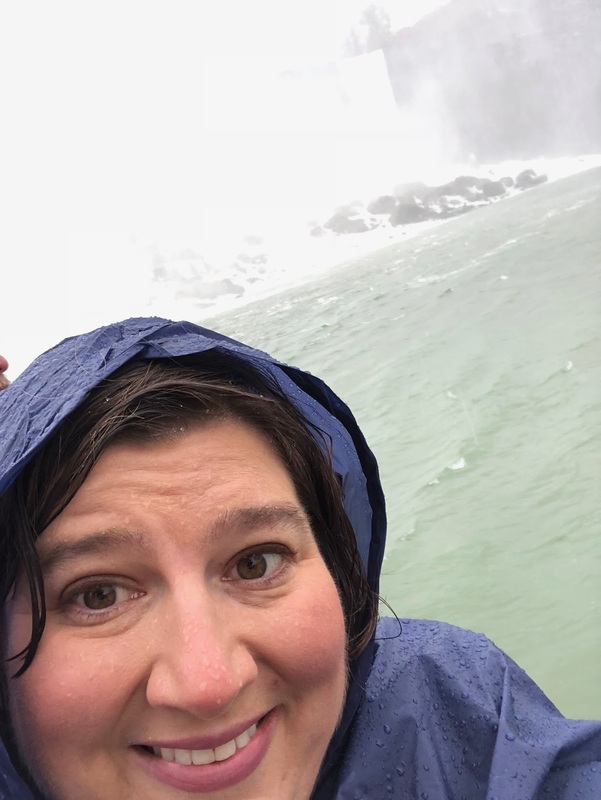 Today I got to visit Niagara Falls again. Being a Western New Yorker, I've been over and over. 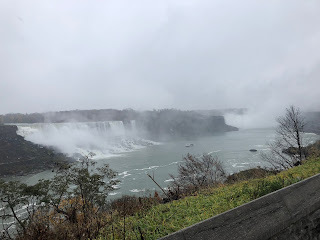 A few trips ago, it struck me--Niagara Falls is like trials in life. Everything changes, depending on which angle you see it from from. There are boats you can take right to the foot of the falls. It's quite a journey to get down to the dock. Then you launch. At first you see the falls from a distance. And they are impressive. They kind of draw you in. Then, the boat begins fighting the current and you're thrust right into the middle of Horseshoe Falls. There is water plunging all around you. You feel the power of it from the bottom of your feet to the top of your head. If you think about it, your heart begins to race from the force of it all. Here we are, in the middle of your trial. It's a struggle so massive you don't see a way out. It consumes you. The water's roar is deafening. The current is swirling around you. The mist is flying at your face. The movement is all-consuming. Then the boat begins to back out. You get some perspective. You feel that sense of conquest. Same falls. Different angle. As the distance grows you have more of an appreciation for where you've been. You notice the sky. The boulders. The birds. The people. Often when you're emerging from a trial, there's a point where you realize life has been going on all around you. You can also see the falls from high above. They look majestic. Not frightening, but still awe-inspiring. They are created by the hand of God. His providence made them. His providence also makes your trials. Nothing coming your way without God allowing it. When you get perspective on your struggles, you appreciate them. Trials aren't going anywhere. God allows them so we can grow. We might even have to go through the same thing over and over, until we finally overcome it for good. From the first glance, to the victory, seek God through your hard time. He is always with us, looking to show us His purpose and plan. Terese Main is a morning co-host at Family Life, a network of nearly 70 Christian radio stations across New York and Pennsylvania (www.fln.org). She is a freelance air personality in Nevada, Kansas, Arizona and Texas also provides imaging voicework for stations in Florida, California, Minnesota, Indiana and Wisconsin (www.themainvoice.com).